It is that time when everyone is looking to save on the dreaded Income Tax. Many investors invest their money in schemes like Mutual Funds, etc., to save their hard-earned money. With tax season 2018 approaching fast, we bring you the best ELSS tax saving funds to save your income tax. 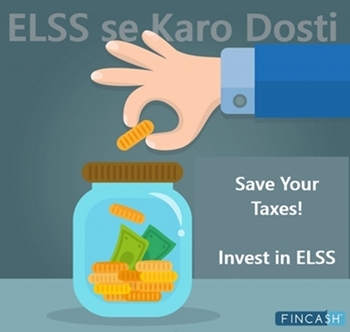 ELSS or Equity Linked Saving Scheme is a Tax Saving Investment through which one can attain deductions up to INR 1,50,000 from their taxable income as per the Section 80C of Income Tax Act. Being a combination of equity and tax saving, ELSS scheme is an optimal gateway to equity. The money you invest grows as the stock market grows. So, the gains are high in Equity Linked Saving Scheme. Before, we look at the multiple benefits of this fund, let’s see the top 7 best ELSS tax saving funds under Section 80C. An investor is eligible for a tax deduction up to INR 1.5 lac under Sec 80C. This investment of INR 1,50,000 can save tax up to INR 46,350. But, this is only for those investors who are in the 30% income tax bracket. For income tax slab of 20% it is INR 30,000 and for 5% slab it is INR 7,525. Investors can invest in Mutual Funds in two ways— SIP and Lump sum. 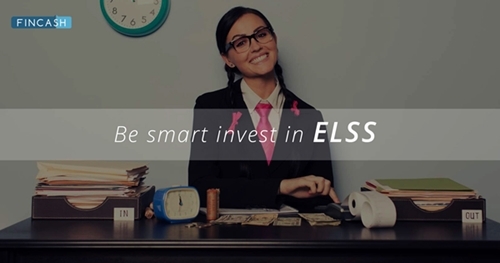 The minimum amount to invest via a SIP is INR 500, for the investment into the ELSS. And for a lump sum it is INR 5000. One of the important benefits of ELSS is that it comes with the shortest lock-in period of 3 years compared to other tax saving options. *Above is list of Equity Linked Saving Sechemes having net Assets higher between 100 - 5,000 Crore and have managed funds for over 1 year and sorted on annualized return of part 3 Years. Motilal Oswal Long Term Equity Fund is a Equity - ELSS fund was launched on 21 Jan 15. It is a fund with Moderately High risk and has given a CAGR/Annualized return of 13.7% since its launch. Return for 2018 was -8.7% , 2017 was 44% and 2016 was 12.5% . Akash Singhania 8 Apr 19 0 Yr.
Gautam Roy 21 Jan 15 4.19 Yr.
Snigdha Sharma 23 Jul 18 0.69 Yr.
HDFC Long Term Advantage Fund is a Equity - ELSS fund was launched on 2 Jan 01. It is a fund with Moderately High risk and has given a CAGR/Annualized return of 21.7% since its launch. Ranked 23 in ELSS category. Return for 2018 was -3.9% , 2017 was 36.2% and 2016 was 13% . Chirag Setalvad 2 Apr 07 11.84 Yr.